On November 6, 2018, in the American state of Florida voters approved Amendment 4, an amendment to the state constitution to automatically restore voting rights to convicted felons who have served their sentences. Lifetime bans still apply for those convicted of either murder or sexual offenses- writes Dennis Redmond . On November 6, 2018, the voters of Florida, one of the most conservative states in the United States, did something nobody expected. By a margin of two to one, 5.1 million Floridians voted for Measure 4. The result is that 1.4 million citizens of the state of Florida have regained the right to vote. 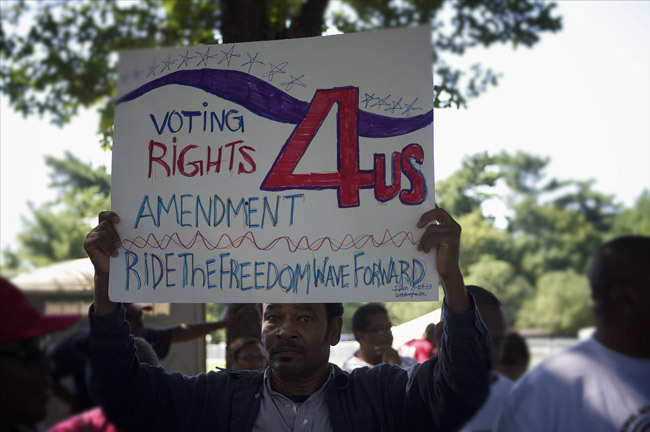 This is the single biggest expansion of the franchise in the United States since the civil rights movement restored the voting rights of millions of African Americans during the 1950s and 1960s. Prior to this vote, the United States blocked 6.11 million of its adult citizens from voting. They were not allowed to vote because many US states remove the right to vote for any citizen convicted of a felony conviction (a felony is any legal offense which is more serious than a citation or a fine). All other fully industrialized nations allow ex-convicts to vote. In fact, most allow prisoners currently serving their sentences to vote. America’s northern neighbor, Canada, decided in 2002 to allow all of its prisoners to vote. Most European countries allow current prisoners to vote, although some do restrict the franchise for prisoners in minor ways. But not one single industrialized nation systematically restricts the rights of ex-convicts the way the US does. In reality, drug addiction is a medical problem which affects members of all communities, rich and poor, at roughly equal rates. 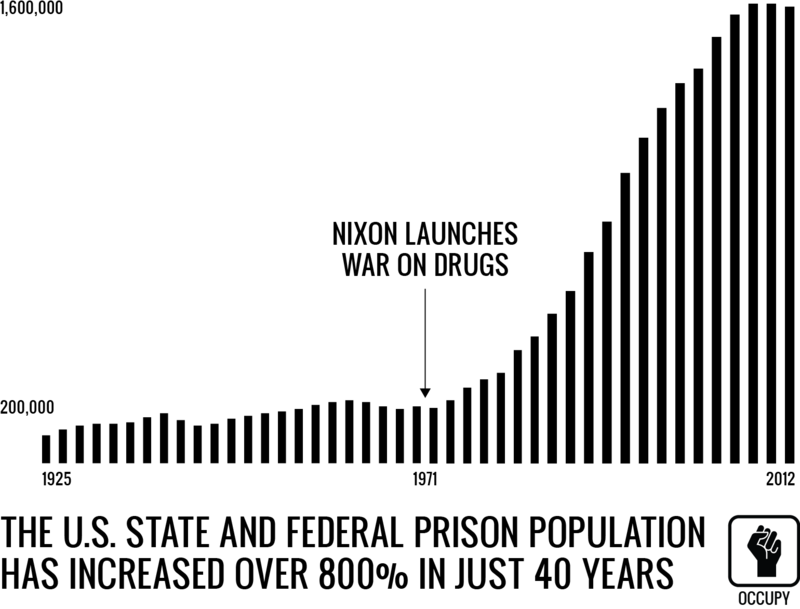 But the War on Drugs explicitly targeted poorer communities for arrest and incarceration. Michelle Alexander’s The New Jim Crow describes in copious detail how the War on Drugs resulted in decades of horrific violence towards African Americans, Latino Americans, immigrants, and poor white Americans. Alexander’s conclusion is that just as Jim Crow (legalized apartheid) replaced slavery as the main engine of repression in the United States during the 1870s, mass incarceration replaced Jim Crow in the 1970s. It is no accident that nine out of ten of the above states have been dominated by Far Right governments for the past thirty years, often elected on the thinnest of margins. During this year’s elections in Florida, for example, Republican Rick Scott won Florida’s Senate with only 10,000 more votes than Democrat Bill Nelson, while Republican Ron DeSantis defeated Democrat Andrew Gillum for the Florida governor’s seat by just 33,000 votes. Shocking as it sounds, the entire post-1973 stranglehold of the Far Right over US politics was built on electoral apartheid. 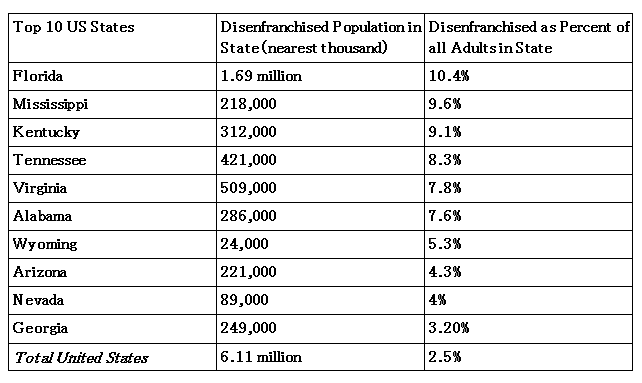 But Florida’s freedom vote has smashed the single largest bastion of this apartheid forever. In its wake, other freedom campaigns will spring up around the country, e.g. the California-based group Initiate Justice. Photo by Jamelle Bouie for FlaglerLive . How did Measure 4 succeed in the midst of the most revanchist political climate in recent memory, and on some of the most reactionary political terrain of the United States? The short answer is, the freedom campaign mobilized Florida’s multiracial, multilingual and multicultural working class. 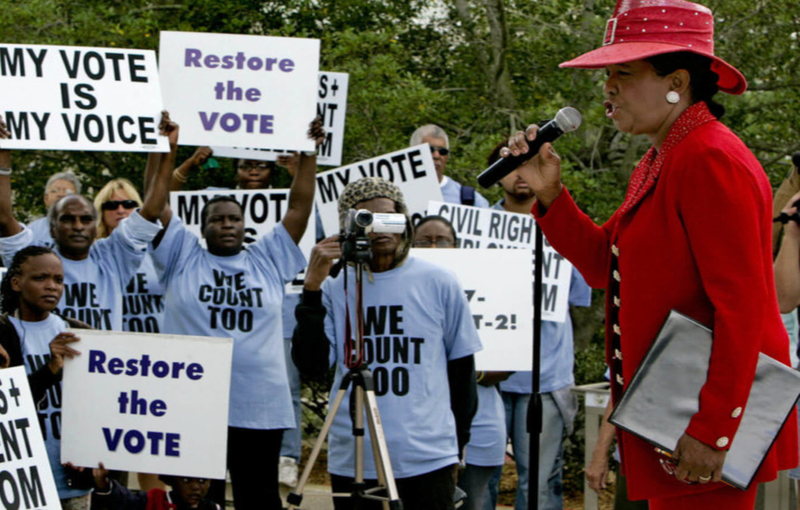 Volunteers from working-class communities, spearheaded by the Florida Rights Restoration Campaign, worked closely with schools, community organizations and churches. Above all, the campaign reached out to Florida’s young people, making the case that every dollar spent on punitive policing was one dollar less for education — and young voters responded. It’s important to understand that this surge of youth support is not a one-time event. It is part of a broader upsurge of political participation since 2016. In the recent mid-term House elections, the Democrats won 53.1% of all votes, whereas the Republicans took only 45.2% — the biggest margin of defeat for an incumbent US party since the early 1970s. Behind this margin was a surge of participation. Electoral analyst Evan Siegfried noted that 115 million Americans voted in the 2018 mid-term elections, 49% of the eligible electorate. This was the highest rate of electoral participation in a mid-term since 1914. Whereas only 21% of eligible youth voted during the 2014 mid-term elections, 31% voted in 2018 — and they voted overwhelmingly for change.